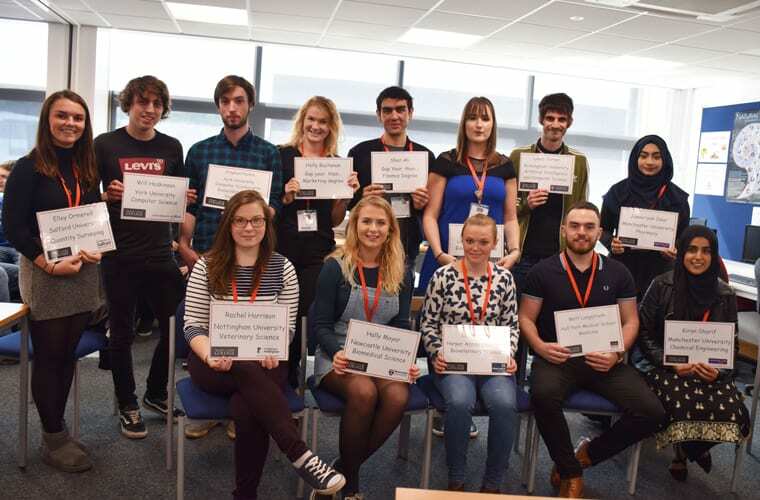 Former NCC students have returned to their roots to share their experiences of University life and help those following in their footsteps. 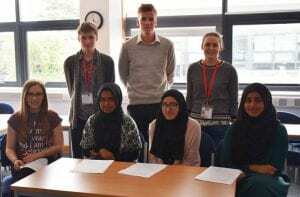 A series of events have been held in the Science, Maths and Computing department at Nelson and Colne College to inspire current students looking to progress to higher education. Seventeen alumni returned to NCC to talk to students in a fun “speed networking” activity – answering questions about their degrees and how they are coping with living away from home. Each current student was given a set amount time with one alumnus before a bell was rung for them to move to the next person. At the end of the session, there was then an opportunity for the students to network, and speak in more detail to anyone who had sparked a particular interest. Students wanting to apply for degrees in Science, Mathematics, and Computer Science, were also put through their paces in a series of “multiple mini interviews” (MMIs). The interviews imitated what students will face as they try and gain a place at any medical and dental school. Helping at the event were former students Cathleen Rowan, who is a Foundation Year 2 doctor, and Jack Buchanan, who is in his third year at Hull York Medical School. Curriculum leader for A Level Science Brenda Rowan said: “It has been so lovely to welcome so many familiar faces back into College to talk to and inspire our current Science, Maths and Computing students. It is really helpful for them to hear from students currently experiencing University about life after College and about the varied and exciting degree programmes on offer at Universities up and down the country. Nelson and Colne College currently boasts a 100% pass rate and has been named number one in Lancashire for the progress students make in their A Levels, and number one in the area for vocational qualifications – based on value added scores. For more information about studying at NCC visit www.nelson.ac.uk or contact the NCC Admissions Team on 01282 440272.